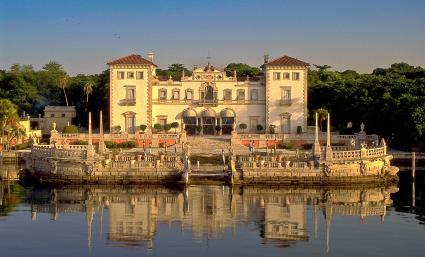 Often called the "Hearst Castle of the East," Villa Vizcaya sits on 10 acres along Miami's Biscayne Bay. It was once the winter home of businessman and philanthropist James Deering. The estate is an excellent example of early Florida architecture and is now a museum listed on the National Register of Historic Places. Built to resemble a 16th century Italian villa, the house was designed by F. Burrall Hoffman. The 46-room mansion was James Deering's winter home from 1916 until he died in 1925. It took 1,000 workers to build the house-a staggering number at a time when Miami's population was just 10,000. Highlights of the Italianate mansion include the Rococo Music Room, a delicate French-paneled room with Art Deco glass chandeliers and sconces. The Deering bath is a huge room with marble walls, silver plaques and a canopied ceiling designed to resemble a Napoleonic campaign tent. 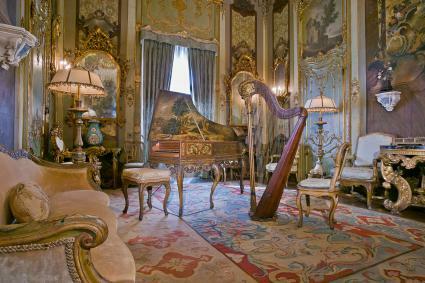 The living room is a grand Renaissance hall with a unique pipe organ designed especially for Vizcaya. Over the years, the main house has been renovated several times, mostly after hurricane damage. The once open-air ground level rooms and the center courtyard have also been enclosed in order to preserve the structure and its furnishings from the humid and damp South Florida climate. Deering traveled extensively throughout Europe and amassed an important collection of French, English, and Italian furniture and other decorative pieces. To decorate his vacation home in Miami, Deering commissioned his artistic director, Paul Chalfin. Most of the decorative arts collection was acquired in Italy between 1912 and 1914, when the estate was still being planned. Architectural elements inside and outside the home were influenced by the furniture and objects acquired to decorate the home. Much of that original collection remains in the house, creating an eclectic fusion of styles. Using his expertise in Italian furniture and interiors, Chalfin mixed the delicate, asymmetrical lines of 18th century Rococo style furnishings with the linear and more austere neoclassical style pieces. He also designed certain rooms to have the look of different Italian cities such as Milan (music room), Palermo (reception room) and Venice (the Cathay and Espagnolette bedrooms). Deering's bedroom suite has more of a masculine feel with ornate Napoleonic era pieces while the living room and dining room contain a more modern aesthetic with Renaissance style furnishings. The well-manicured grounds originally designed by Columbian landscape architect Diego Suarez are some of the most elaborate gardens found in the USA. The grounds encompass 180 acres and in the past included a working farm and livestock. The gardens contain both Italian and French design elements, with an overall design conceived as a series of rooms. A large central area consists of geometrically patterned low hedges. Beyond this you'll find the Secret Garden, the romantic Theatre Garden, the fun-loving Maze Garden and finally the Fountain Garden. Native forest borders the landscaped gardens on either side. Orchids were a favorite of Deering's and you'll see thousands of them in trees and in a newly rebuilt Orchidarium next to the main house. Exploring the gardens, you'll encounter multiple stone fountains, numerous statues collected by Deering in Europe, and the infamous Garden Mound. This man-made hill was a clever redesign by Suarez, who realized the large lagoon they were planning to put at the bottom of a terraced landscape would be blinding to visitors at certain times of the day. Building it into an elevated hill makes it an enchanting surprise instead. One of the most notable features is the central element of the Fountain Garden. It was designed in 1722 by Filippo Barigioni, the architect who created the fountain in front of the Pantheon in Rome. The water in front of the main house contains one of the other standout iconic features of the property, the Barge. This stunning, 20th century sculpture was created as a breakwater by Alexander Stirling Calder. The boat-shaped sculpture is decorated with carvings of mythical Caribbean creatures and in Deering's time it also featured full grown trees and a latticework pavilion. Vizcaya Museum and Gardens is owned and operated by Miami/Dade County and is open to visitors every day of the week from 9:30 a.m. to 4:30 p.m., except for Tuesday when it's closed. The museum is also closed on Thanksgiving and Christmas Day. Visitors can tour the main house, the gardens, and out buildings. The entrance fee for adults is $18. Children between the ages of 6 and 12 cost $6 and children five years of age or younger are admitted free. Seniors 62 and older must pay $12 and students or those using a wheelchair can enter for $10. Veterans and active duty military personnel with ID can enter free of charge. A variety of tours are offered, and the complex includes restrooms, a gift shop, and a café that overlooks the swimming pool. Vizcaya is connected with downtown Miami by the Metrorail (Vizcaya stop). Whether you're a local guest or an interested vacationer, planning ahead will help you get the most out of your visit to Vizcaya Museum and Gardens. Guided garden tours take place between November and April. Expert guides take guests on a 45-minute walk exploring the exotic plants and animals that inhabit the grounds. These interactive tours start at 2 p.m. every Wednesday and Friday or at 10:30 a.m. on Saturday and Sunday. Tickets are $5 per person. A slower-paced, 90-minute self-guided audio tour allows you to choose your own path and areas of interest within the house and gardens. The tour is offered in five languages: English, Spanish, French, Portuguese and Haitian Creole. The cost is $5 per person. 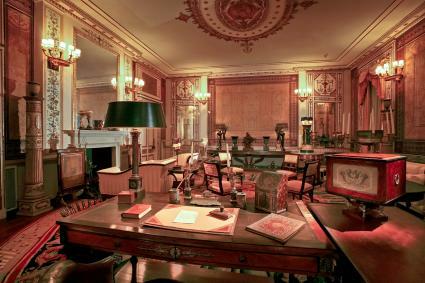 Guided tours of the first floor of the main house and gardens are offered daily but are subject to guide availability. Tour times are posted each day in the main house. Spanish speaking guides offer tours on Saturday and Sunday at 2 p.m. The cost is also $5 per person. 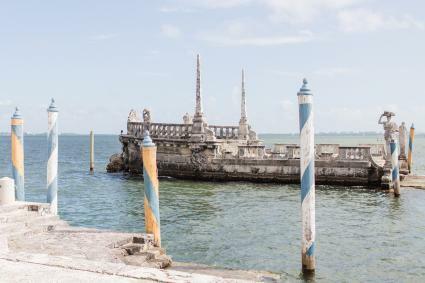 Lost Space Tours: Held by the museum's Contemporary Art Program, this exhibition highlights the installation work of local South Florida contemporary artists who sought to bring Vizcaya's lost spaces and stories back to life. Learn more about the history of these installations on both floors of the main house from staff and tour guides every Saturday starting at 1:30 p.m. Tours are offered at a rate of $5 per person. Reserved Group Tours: Adults and college groups can call ahead (305-250-9133) for advanced reservations of guided tours through the house and gardens or self-guided tours. There is a minimum of 14 days advance notice for reservations and a maximum of six months in advance. Group reservations are charged a flat fee based on the number of people and must be paid for no later than 14 days prior to the visit. Lunch Groups: Groups of 10 or more can book a group meal at the Vizcaya Cafe and Shop by contacting Paula Gooden at paulag@ajoywallace.com or by calling 305-856-8189. Viator will arrange round-trip transportation from select Miami hotels to Vizcaya. If your hotel is not on the list, you will be directed to the nearest hotel pickup location or you can contact the local operator to arrange for an alternate pickup location. The minimum for booking is two people and does not include gratuities, food or beverage, or an entrance fee. Hotel pickups begin at 9 a.m., with the exact time of your pickup being supplied when you reconfirm with the local operator. The duration of the tour is approximately four hours. Prices start at $30 per person. GetYourGuide also arranges round-trip transportation from Miami Beach and downtown Miami Bayside hotels. The booking fee only covers transportation; you must still pay the entrance fee and on-site tour fees. The duration of this excursion is about four hours. Prices start at $73 per person. 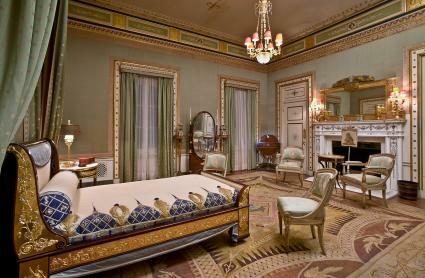 If you're unable to travel to Miami, the virtual tour of Vizcaya Museum is an attractive alternative. This interactive virtual tour offers 360-degree viewing of all the exquisite rooms in the main house, the waterfront and all the fabulous gardens. You can also see historical pictures of how it looked in the early 20th century. If you are a local to the Miami area, Vizcaya's annual fundraising events are a great way to help support this historical landmark while keeping the spirit of philanthropy alive and well in southern Florida. Also known as the Preservation Luncheon, the event is attended each year by about 300 guests of South Florida's charitable community. Stylish hats are the theme of this event which kicks off with a cocktail reception in Vizcaya's gardens followed by a formal seated luncheon. There is also a contest for the most fashionable outfit. The next annual luncheon is slated for March 13, 2018. 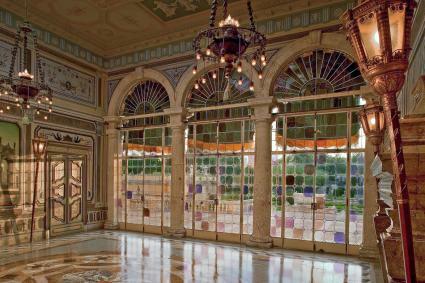 For more information, send a message to vizcayainfomation@vizcaya.org or call 305-250-9133. The theme for Vizcaya's 31st Annual Halloween Sundowner is Myth, Mystery and Fantasy. Three stages feature live bands from 8 p.m. until midnight on Saturday, October 28, 2017. Tickets can be purchased online. 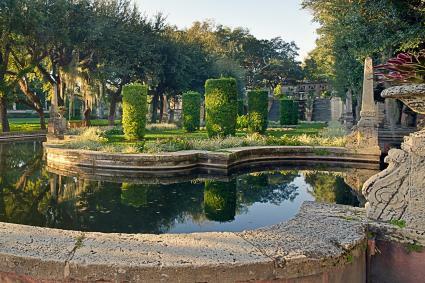 Early bird tickets for Vizcaya members are $130. General admission for members is $140. General admission for non-members is $170. VIP tickets, including exclusive access to the courtyard in the main house with a catered buffet, VIP bar, on-site parking and air conditioning, are $250 each. An exclusive VIP reserved table for up to six guests in a private VIP lounge, including 3 bottle champagne service, private bar, catered buffet, on-site parking and air conditioning, is $3000. As with any good costume party, a contest will be held for the best female costume, the best male costume and the best group costume. You must be 21 or older to purchase tickets to this all-inclusive event. All proceeds go to the preservation of Villa Vizcaya. One of the biggest challenges of any vacation is trying to fit in everything you want to see and do. Insider tips and reviews from other travelers who have visited can help you decide if it's worth including on your itinerary and what time of year you should plan to go. The best time to visit depends on where you live. Locals and those who live close enough to make it a day trip by car should take advantage of the mild tropical winter temperatures from December to February, with little chance of rain and daily highs in the mid 70s. According to US News Travel, the best time to visit Miami if you're flying in or driving long distance from other locations is March through May. 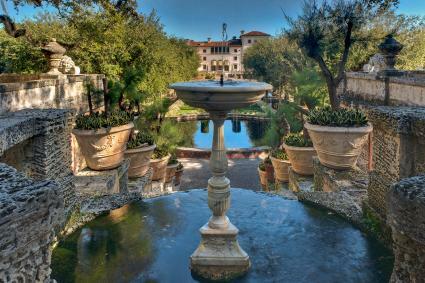 This way you can avoid paying peak rates at hotels and enjoy exploring Vizcaya's gardens in 70 degree weather. Avoid the sweltering temperatures of summer and the danger of hurricanes in the fall. 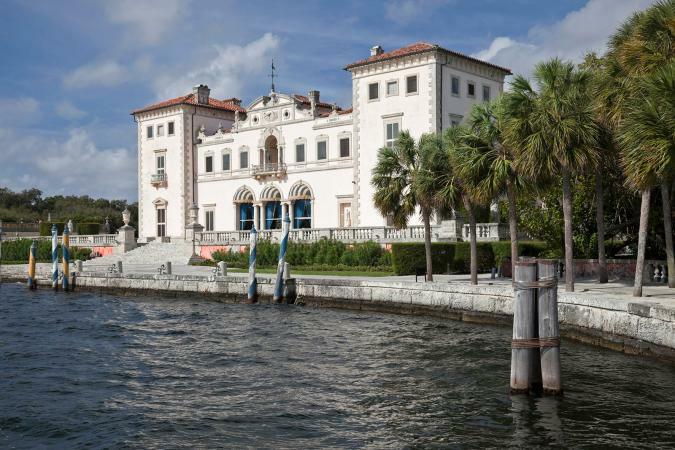 Vizcaya Museum ranks in the top 10 things to do in Miami, courtesy of US News Travel, calling it a stellar attraction that is not to be missed. On TripAdvisor, the estate was rated excellent by two-thirds of reviewers, who described it as a gorgeous place, a trip to another era, leaving the viewer in awe of the grand beauty. Others remarked that it is a great family destination, entertaining for those young and old alike. Visitors were especially impressed with the "stunning" and "magical" gardens, calling them some of the best in all of Florida. A few reviewers were less impressed after visiting European estates. Others were bothered by renovated areas with no access. Complaints also included not having access to certain parts of the gardens or areas that were being used for weddings or private photo shoots. Some visitors found the weather to be unbearably hot (a good reason not to visit in summer) while others felt it was too expensive or just not that interesting. If you have absolutely no interest in art or history, this might not be the activity for you. Because Vizcaya is designated as a National Historic Landmark and was built in the early 1900s, it's not a very wheelchair-friendly destination. The first floor of the main house is mostly accessible to wheelchairs except for the East Loggia and Entrance Loggia. Ask for the assistance of a security officer and enter the house on the south side. On the right-hand side of the main entrance, go through the arched gateway where you will find a ramp and a lift. Get a property map at the ticket booth counter or from a security officer. This will show all the locations of ramps and lifts. Food and drinks are not permitted anywhere in the main house, but pack a small bag with some bottled water and a few snacks to enjoy while you explore the gardens outside. If you get really hungry, grab a late lunch at the recently renovated café. 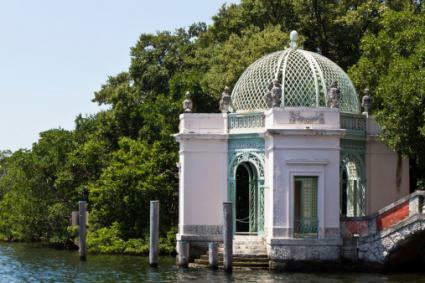 To truly experience everything that Vizcaya Museum and Gardens has to offer, you'll need to set aside three to four hours to explore this historic treasure. And don't forget to stop and smell the orchids along the way too.